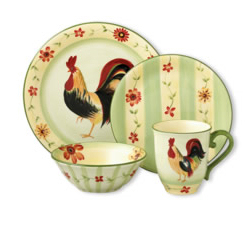 Are you looking for dinnerware? I have to admit it. I'm a dish lover - fine china, stoneware, Christmas dishes, designer tableware, pottery, serving dishes, teapots, everyday dishes, glassware, serving accessories… I love them all. I always wished that there was a place where I could browse different types of dishes (being that I have a tendency to collect them), but I've never been able to find a place that coordinated patterns and made it easy to find what I was looking for. So, I decided to put together a shopping guide to provide you (and myself) a place to browse and pick out what you truly want when you want it! 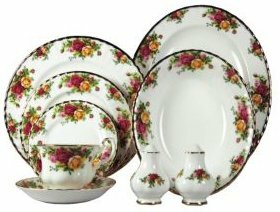 I started this website back in 2010 and I am constantly updating it with new sources for finding antique or vintage dishes along with reviews on new patterns. That's good news for you because you will find the latest and greatest patterns along with information on where to find them right here. This is an ongoing mission for me, so there will be frequent updates. You might consider signing up for a RSS feed or subscribing to my newsletter to stay up to date on what's new. I promise I won't swamp your inbox with worthless junk. If you are "modern", you can even follow me on Facebook or Twitter. It's unbelievable what technology has gotten us into! I cover different brands, types, colors, patterns, and origins of specific dishes along with some tips on how to find your treasures at the best prices. If you are a dish lover like me, I'm sure you'll enjoy it! 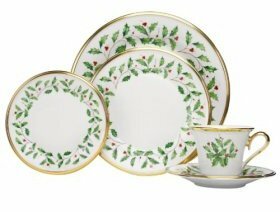 What Type of Dinnerware are You Interested In? …and of course I will throw in some suggestions for serving accessories. I hope you enjoy this site as much I have enjoyed building it! Do You Have a Passion of Your Own? If so, you might want to open a website to satisfy your own desire and to make money from home doing what you love. I've been working from home since 2001 and I love it. To find out more about how to do it, read my story. I'm more than happy to share this great opportunity with you! 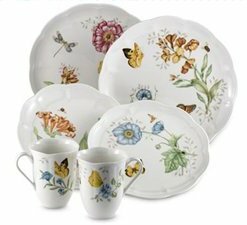 Want to see what's new at Dinnerware Shopping Guide?